These ATC 3 Hole 9 Pocket Page Protectors hold up to 18 - 2 1/2 in. x 3 1/2 in. trading cards per page. Great Pocket letter pages! 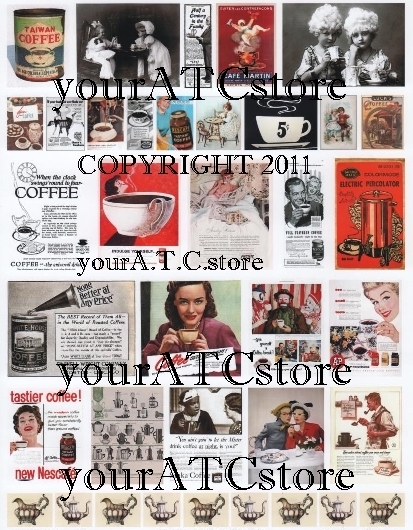 These are HEAVY WEIGHT VINYL page protectors unlike some other ATC page protectors out there. You'll see what I mean once you receive these. This pack of 10 Artist Trading Card page protectors could hold 180 ATCs, 2 ATCs per pocket back to back. They are an acid-free archival product that is designed to protect, store and display your artist trading cards. This product features high clarity heavyweight polypropylene, and are top loading pockets with strong welds. They fit all standard 3-ring binders and albums. Features UV Protection and no PVC. This product was added to our catalog on Monday 02 April, 2007. 20 - 2 3/4" X 3 3/4" Glassine Vellum ATC Envelopes - 20/pkg. 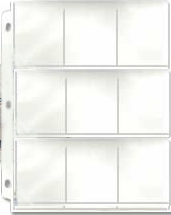 15 - Premium Quality White ATC Envelopes 2 3/4 in. X 3 3/4 in. Canvas Corp. ATC Small Ivory Cream Envelopes 12/Pkg. Canvas Corp. ATC Small 4 in. x 2 3/4 in. Kraft Envelopes 12/Pkg. Canvas Corp. ATC Small 4 in. x 2 3/4 in. White Envelopes 12/Pkg.